Inspired by design since 1999. Wodu Media started in 1999 when our CEO & Founder Peter Downie saw an opportunity to deliver stunning, agency-level design to a wide range of businesses in the tropical island paradise of Key West, Florida. From these proud small-town roots, Wodu Media has grown to become a 15+ strong team, offering a multitude of advanced design and marketing services to clients across the United States, Canada, United Kingdom & Australia. Founder and Creative Director Peter Downie came up with the Wodu Media catchphrase: inspired by design. For us, Inspired by design encapsulates our work ethic and the quality of our organization’s output. With nods to Neil Armstrong, it is the “One small step for man, one giant leap for mankind” of Wodu. Over time, Wodu has continually evolved to align with the shifting needs of our clients, business partners and the internet landscape. We have added new services and technology that we couldn’t have imagined back in the day. As a result, we have continued to deliver fresh creative, professional web development and outstanding search engine results to our clients, year after year. In 2013 Wodu became a certified Google® Partner, recognized as a leader in paid search campaigns. To achieve and maintain Google® Partner status, agencies are certified in Google Adwords and meet strict, ongoing professional and performance-based criteria. At Wodu, we see good as the enemy of great. That’s why we continue to drive for excellence and approach each new project as an opportunity to push the envelope. With Wodu, the best is yet to come. 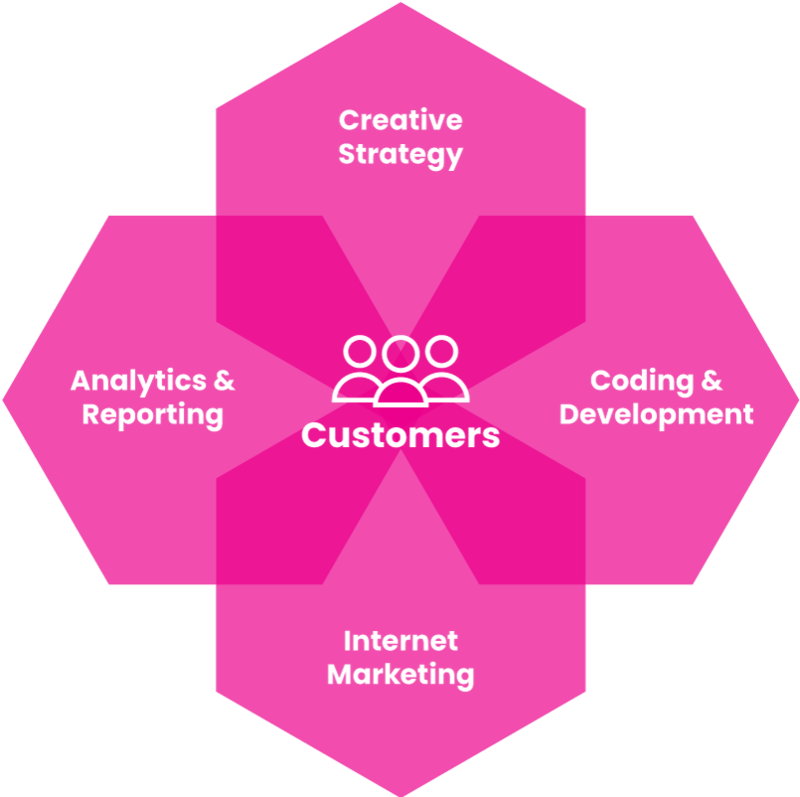 Unified Creative, Code & Marketing Services. Our crazy future-skills make it simple for people to find your stuff on the internet. We’re like super-bionic design ninjas. With iPhones. And really expensive shoes.